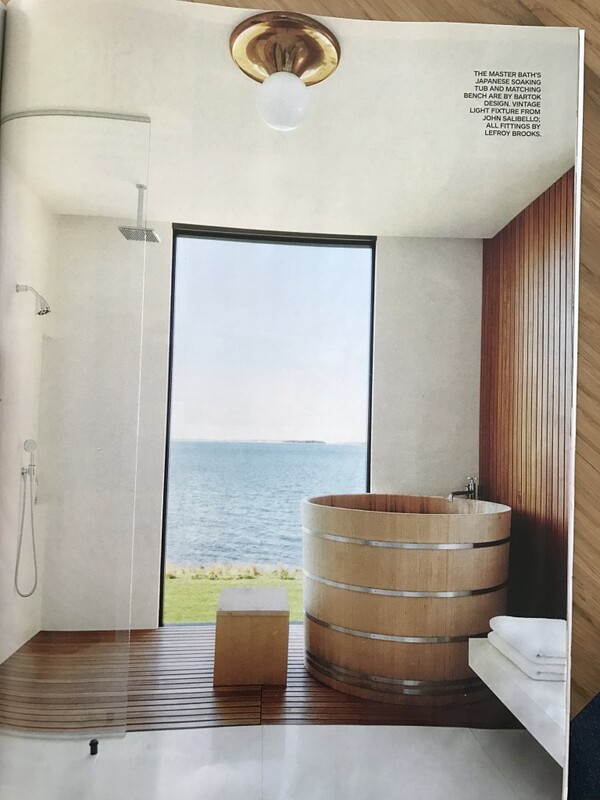 Blog | Bartok design Co. Blog – Page 10 – Bartok design Co.
bartok ofuro featured in AD! We were featured in AD! 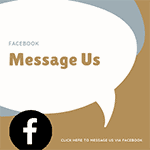 Click on the button below to see other pages. 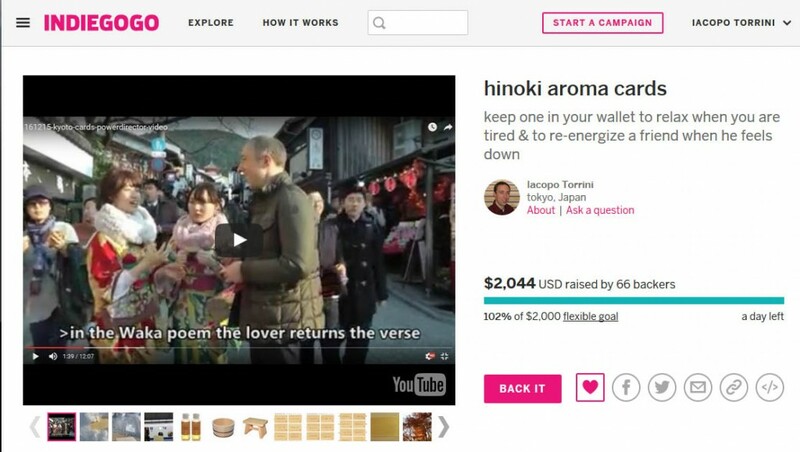 With more than 24hours left, we reached the funding goal for the hinoki aroma cards campaign! I was prepared to boil to the last minutes begging for help but a kind soul saved me from a possible heart-stroke by pledging a hefty 300 USD! 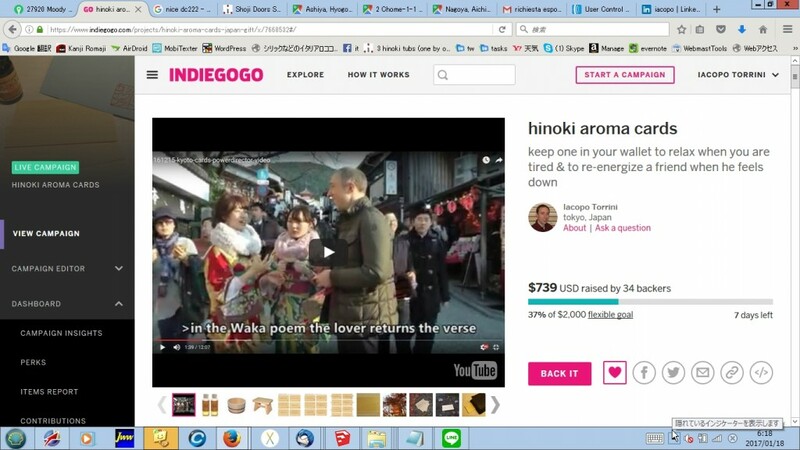 Have just made your $2000 work for you on the Indiegogo site. Let me know how it goes…. and if you need any further help. I really am looking forward to seeing and smelling the final product. It was an experience of overwhelming joy! I corresponded before with him but never met in person. Nevertheless, he is treating me like a friend, helping me even if he does not share my purpose, just because he knows it is important to me. I hope I will have the chance to return the favor very soon! Thank you also to the 60+ people who believed in the project and made a pledge. I should be able to ship the cards around the end of march. A special thanks goes also to D. who made several small contributions. It was exciting to have so many people believing in the project! It was also very fulfilling that even some who did not believe in the project contributed anyway. Thank you all and keep your expectations high! The hinoki aroma cards will be amazing! alternatively, link to your instagram account and look for the user: #bartokdesign. Please share the images of the aromacards! The success of the campaign depends on you. Update about the indiegogo campaign: AAAAAAgh!!! We are almost there but there are only 3 days left. I still need to collect 500 US$ (25%). Please share the link below. Your help is crucial! 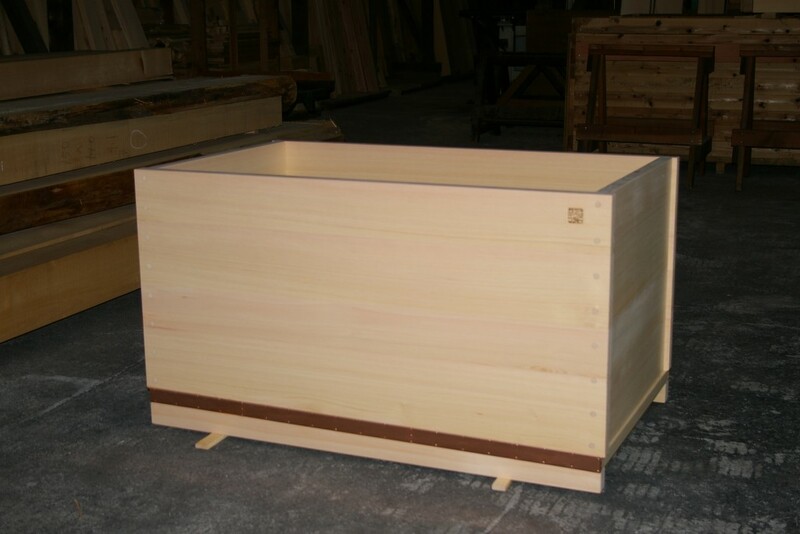 The owner of a lovely hinoki tub (not ours) in front of a window decided to replace it after 10 years. The bottom shows some signs of rot even if altogether the tub appears very well maintained. Probably the drain did not have a proper gradient and apparently it is not draining completely. Taking advantage of the renovation they will also probably create a tiled ledge on one side of the ofuro to make it easy to sit on the border before spinning the legs and enter inside. This way they will be able to use the tub safely even when they become elderly. 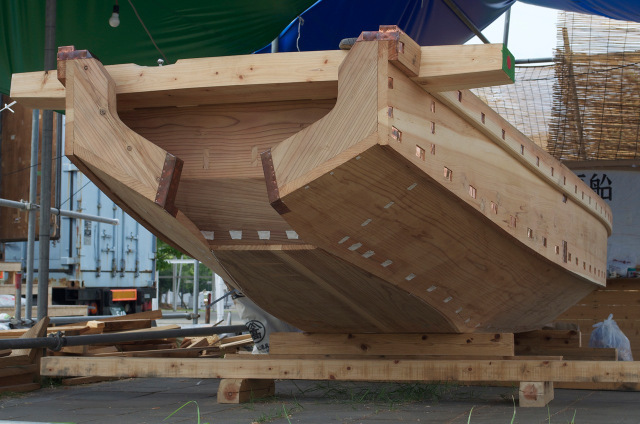 Because the tub is close to a window and may be seen from the outside, we applied the copper apron on both sides. Click on (more…) here below to see the mesmerizing inside of the tub. Can you imagine the aroma? We are 37% funded but have only one week left… Please spread the word! Here below I am reporting a mail exchange I had with a fellow “japanese lover” who kindly replied to my newsletter. I think that many people feel uneasy about “crowdfunding” all together. I would like to hear everybody`s opinion about! You are a very busy man…. You need venture capital for the new aroma cards from what I understand. not see one, Therefore I would like to know more. Please give me a short 1 paragraph of what you envisage. Thanks for response when you can. Crowdfunding is a new (not so new anymore…) system. 1) it helps me to promote the project (and my brand) thru social media and newsfeeds. Promoting a “product” may feel pushy but promoting a “project” is more interesting and creates involvement. 2) it helps me to study the market needs. By developing a product thru the advice and ideas of the end users, I end up with a more evolved and better targeted product. 3) if I get the campaign funded, the product itself will be more convincing as it could win the heart and obtain the commitment from many people. 4) ultimately, it helps me to broaden my avatar. I am devoted in helping the traditional crafts (not with donations, but with a new market for their skills) + I believe our society needs a more human and sensorial culture. 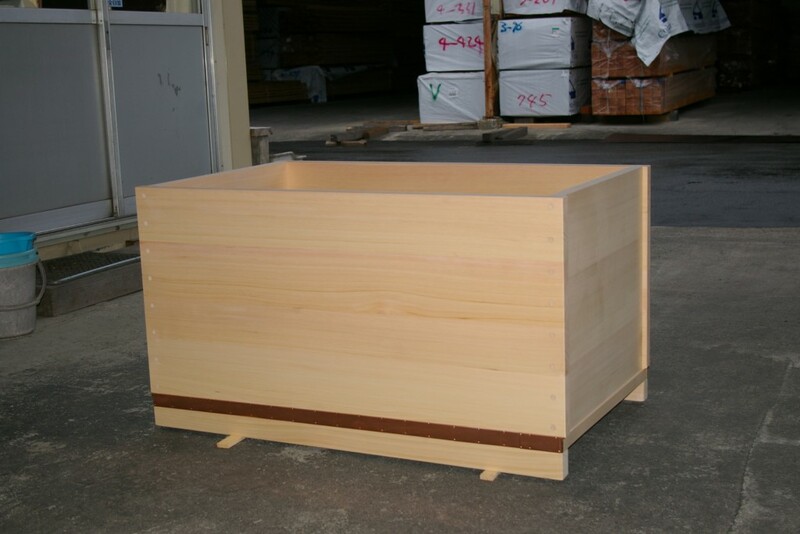 My activity in the production of wooden bathtubs helps me progress in both missions. 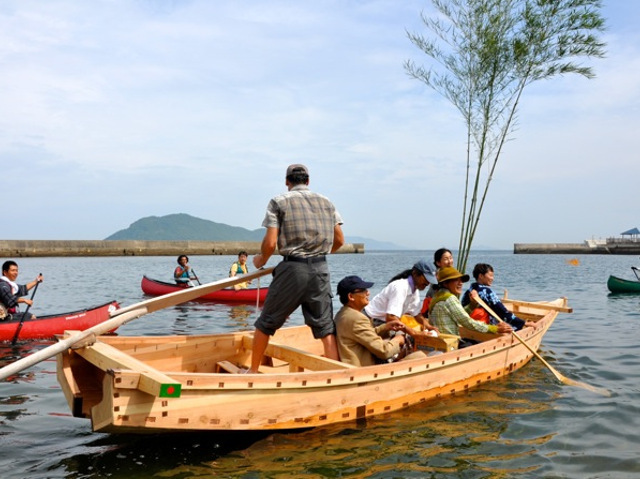 But japanese crafts is not only ofuro bathtubs and I am interested in exploring new markets. I think there is a huge market for motivational message cards. 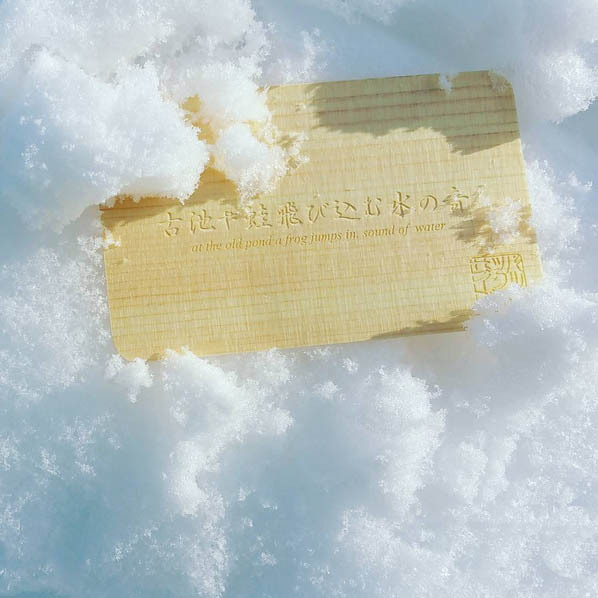 Additionally hinoki cards allow you to bring always the aroma with you! Also they are more resistant and noble than paper. I would appreciate to hear your opinion! How about your opinion? Please comment below! How are you? Did you have a nice new year`s holiday? I worked almost fully during the holiday period and it has been a busy “after the holidays” period as well. Also for this reason, I neglected the aroma cards crowd-funding campaign which has had a slow start. Anyway, this is a project I strongly believe in and will do my best to get it funded in the 12 days I have left. 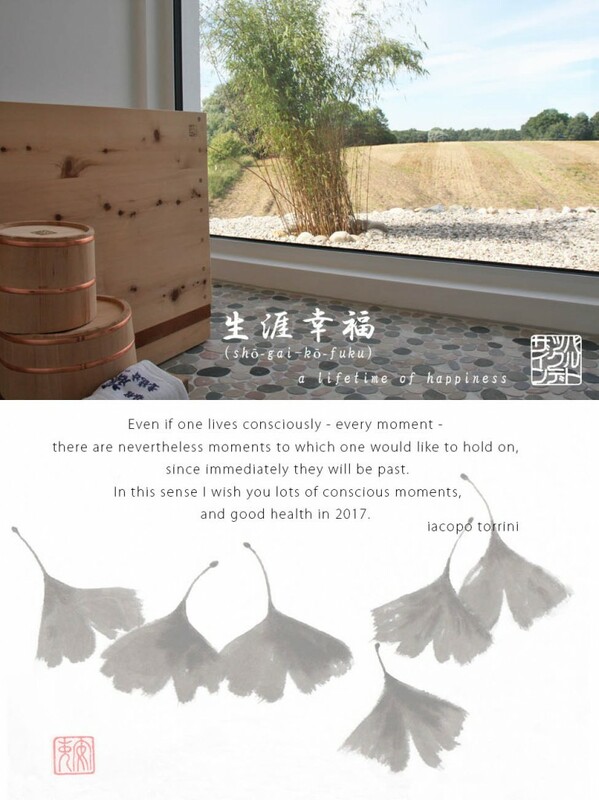 The aroma card is not just a great “amulet”, it is a vehicle, a trigger to spread to a wider audience the culture of a deeper and more “conscious” – 6 senses geared – lifestyle. 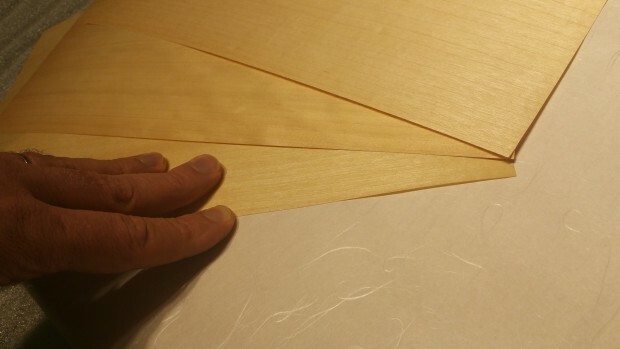 On the product development side, I am experimenting some samples of different cuts of veneer (sliced, rotary cut) etc. and washi paper. I will try which ones absorb and retain the aroma oil better. Also about this, please check the indiegogo page for more updates. 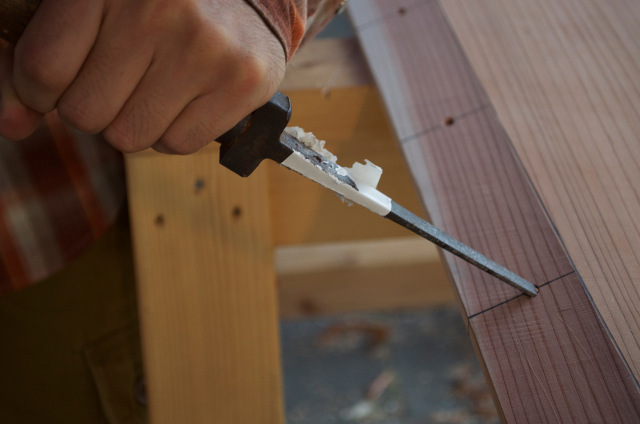 We normally ship our products with DAP conditions. DAP (Delivered at Place) is an Incoterm that replaced the former term DDU (Delivered Duty Unpaid). DAP transactions require the seller to arrange and pay the transportation of the goods to a place designated by the buyer, and the buyer to pay import duties and taxes on arrival of the goods. There is a great site that allows you to do the (approximate) calculation of the fees necessary. note that “dutycalculator” is a third party not related to us. Bartok design should not be held responsible for any mistake/incongruity in the calculation. Note that the 1st calculation is free, you will have to purchase a credit if you need to repeat the operation. I wrote about this point several times, why do we use the DAP terms? Our invoice includes all the fees that we can be aware of. 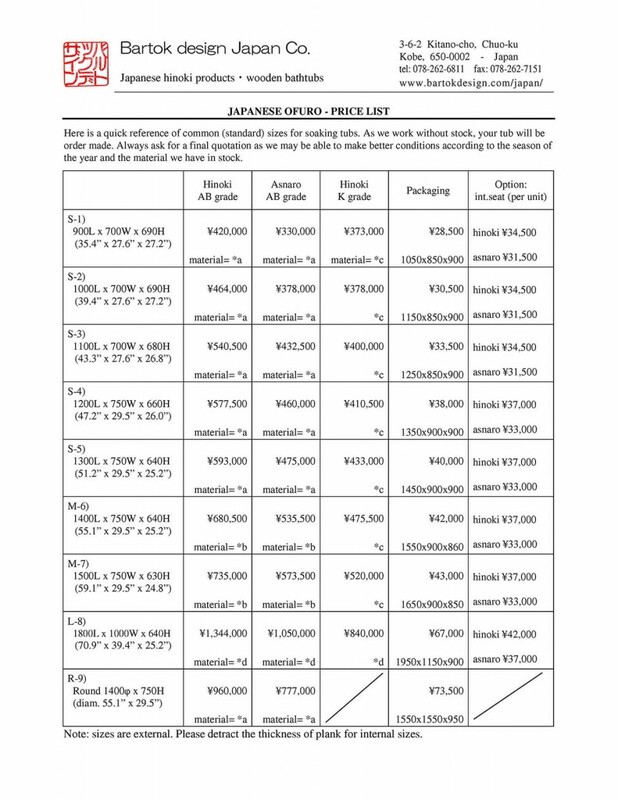 Cost of the products, shipping and delivery charges. The local taxes and customs processing fees may vary from case to case (the customs may require an inspection, etc.) so we prefer to keep them separated and having the client paying directly the net amount at the same time as they sign the paperwork for the customs. 1) Bill the minimum amount as per our forwarder`s most optimistic calculation and bill you the difference in case the shipment incurred in additional fees. 2) Bill you an amount which takes into consideration the risk for additional fees. This would become more expensive for you. We think that option 1) is cumbersome and option 2) is unfair, this is the reason why we use the DAP terms. Also if you prefer, we can ship to the airport or port CFS terminal (without delivery). You will appoint a local forwarder to take care of the customs procedures and delivery to site. Please contact me if this explanation is not clear or for any problem/question.